A fiercely physical and ruthlessly efficient Saracens secured the fourth Premiership title in their history on Saturday as they beat holders Exeter Chiefs 27-10 at a scorching Twickenham. A Chris Wyles double - playing in the final professional game of his career - in addition to Billy Vunipola and Nathan Earle scores, plus two Owen Farrell conversions saw Mark McCall's side lift the cup. But the victory also had a lot to do with an incredible and brutal Sarries defence which met Exeter's physical carrying game head-on for an hour and quelled it at almost every opportunity. 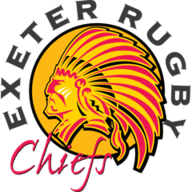 Exeter did eventually break through via replacement out-half Gareth Steenson inside the last quarter with Schalk Brits in the sin-bin but couldn't trouble the scoreboard again, as Earle had the final say inside the last minute for Sarries. Exeter hit the front as early as the fifth minute when after an 18 phase attack, superb hands by both Alec Hepburn and Jonny Hill and a brilliant step in midfield by Sam Hill past Maro Itoje, Mako Vunipola was penalised for side entry at the ruck and Joe Simmonds kicked the first points of the final centrally from the 22. The 21-year-old out-half had the chance to double the Chiefs' lead three minutes later after Saracens tighthead Vincent Koch - like Vunipola before him - was pinged for side entry. But Simmonds sliced the difficult effort from distance wide. Sarries continued to be on the wrong side of referee Wayne Barnes - officiating his 200th Premiership game - but after they were penalised for interference in the air at the lineout, Henry Slade went for broke with the kick to touch and ended up kicking the ball dead. Three minutes later and the 75,128-strong crowd at Twickenham were treated to Saracens at their ultra-clinical best. An outstanding chip over the top from Farrell saw full-back Alex Goode kick ahead before regathering after an Exeter shirt had knocked the ball back for Saracens' opening foray into the Exeter 22. From there, McCall's men shifted the ball wide before coming back in-field where No 8 Vunipola bundled over from close range for the first five-pointer of the day. Exeter reverted to type with another multi-phase attack in the Saracens half but after flanker Jackson Wray won a penalty at the breakdown, it was Saracens who would score next - and what a score it proved. Farrell found Goode with a cut-out pass down the left hand side and the full-back then produced a sumptuous basketball-style pop pass over the head of Jack Nowell to Sean Maitland - across from his own wing - who consequently fed Wyles to sear over after just their second entry into the Chiefs' 22. Farrell missed the conversion to leave the score 12-3, and that is how it remained at the break after the playmaker pushed a penalty wide with the final kick of the half after a powerful Sarries scrum. The Chiefs began the second period in customary direct fashion, but an oppressive and unyielding Saracens defence refused to allow them into their 22, even after some 24 phases. A few minutes later, Saracens were ruthless in attack again as an Alex Lozowski half-break and offload found Brad Barritt and once the ball was shifted wide, Goode laid on the final pass for Wyles to finish simply. Farrell's conversion left the score a daunting 19-3 for Exeter. Exeter struggled to gain effective territory past a resolute Saracens, but once they did on the hour mark, a powerful maul surge saw Schalk Brits sin-binned. 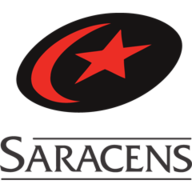 Saracens avoided a penalty try, however, before Chris Ewels was held up over the line under the sticks as Exeter continued to pummel at the Sarries line. That pressure did eventually tell as replacement out-half Steenson - the hero on this same ground against Wasps last season - dove over on advantage off a Chiefs scrum. The Irishman then picked himself up to convert the score and bring his side to within nine points. But any hopes of a comeback were extinguished when Ben Spencer dispatched a routine penalty under the sticks with a little over eight minutes remaining, leaving the Chiefs too much to do. With a minute and a half left on the clock, and with Saracens retaining possession to run the clock down, they then grabbed the cherry on top when replacement Earle was on hand to dive over in the corner and signal early celebrations. You have to admire Saracens. In the big games, they invariably know how to get things done. Their power in contact today was utterly superb while the main facet to their play which most will take away was how clinical they were. Any sniff of a chance and they will punish you, while getting past them is a devilishly tough task. In fact, even getting into their 22 isn't easy as Exeter found. On an individual basis, Mako Vunipola might have taken the man of the match award but Alex Goode once again proved he is one of the most underrated players on these shores. His chase, kick and regather set the platform for Vunipola's try. His wonderful offload created Wyles' first and he was on hand to gift Wyles his second. A brilliant performance. It was fairly clear from early on that Saracens had the capacity to match Exeter and their multi-phase type game. With that in mind, it would have been nice to have seen the Chiefs change it up a bit. Perhaps open the game up, go wider. For example, during the phase in which Chris Ewels was held up, Exeter had a four-on-one man overload out wide, but never remotely looked likely to shift it. Exeter were far from their best and seemed to lack accuracy and energy in parts. The Chiefs have had a super season, finished top of the pile and will be back, but they'll be bitterly disappointed tonight. Well played @Saracens - Brave from @ExeterChiefs - but only one winner out there today - Sarries were brilliant!